Invisible shore – your heimat as it were. The Spring would soon have sunk beyond recall. Like the scales of some stranded mullet. Its bouts of repose get ever more rare. And this way, you survive. The glare from lakeside awnings and hotels. Where the sponge cannot get to. Who fill up ornate frames. As the hour darkens, getting ever later. And the voice may never change. However, Ravenna’s a long way away. Today, a ferocious faith distills its venom. The voice, the legend or the destiny! And yet it’s late, and getting ever later. Notes: This is a “bridge” in the sense of a ship’s bridge, a wooden platform for “Pesca con la Balancia” , which juts out over the Adriatic, enabling the Scales Fisherman to extend the mast that suspends his net further out over the sea at high tide. The net is raised and the bucket suspended above it is lowered, to scoop the catch. A majolica house is an Austrian house, its face tiled with porcelain. And now your not being here is a void at each descent. Our trek together turns out all too short for me. Is placed in the reality of appearance. It wasn’t just that four eyes are better than two. The truer sight, however poor, was yours. Is a poetry of unbelonging. By one no longer form but essence. Poetry exalts the All that is in flight? His win against the thunderbolt. An absolute that’s lessened by its clouds. That being one is the same as being two. the fools have now banned. until I saw yours, nearly always last. that haunt me in dreams. on a dry leaf, the grounded racehorse. and in the cloud, and the high flying hawk. 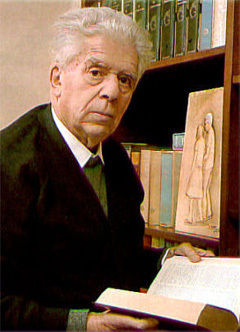 Eugenio Montale was born in Genoa in 1896 and died in Milan 1981. Widely considered the greatest Italian poet since Giacomo Leopardi and one of the most significant European poets of the Twentieth century, he was also a distinguished essayist, editor and translator. In 1975 he received the Nobel Prize in Literature. in the large bedrooms in my house. untie his shoes when he wants to sleep. The sides of the Serino are still white with snow. chimes barely reach us from the square. the unburnable wood still damp from the copse. market girl has come with a basket of turnip tops. on the cross beams in the cellars and the chicken coops. where they lived so many years in the slow throes of dying. rags being worn along the street. the poisonous swelling in the donkey’s mouth. that has sprouted in the crypts. to strike out all that I have seen. the image of the rose. baskets of eggs, words of condolence. of someone old and sick. My father’s blood is heavy. He complains that he cannot move. where we have chosen to return to die. in the memory of neighbours in street and field. on the Thursday of darkness! Leonardo Sinisgalli (1908 – 1981) was born in Montemuro, Basilicata. After completing his engineering degree in 1932, he moved to Milan where he worked as an architect and graphic artist. His early collections focused on themes from ancestral southern Italian myths. Later he explored a more relaxed style in La vigna vecchia (1952), L’età della luna (1962) and Dimenticatoio (1978). but in this airy spot which grants me all. damp and light, on the terrace. that protects our footsteps at midday. nor the festive traces of a lazy carelessness. and in the cut border misting over. Maurizio Cucchi was born in 1945 in Milan, where he studied at the Catholic University, and where he still lives. A prolific translator of French authors such as Stendhal, Flaubert, Balzac, and various Nineteenth Century French poets, he has also translated work by Poe, Lorca, Cavafy and many others. Alongside his volumes of poetry, he has also published novels and edited the Dizionario della poesia italiana. remaining on the cured-meat seller’s stall. 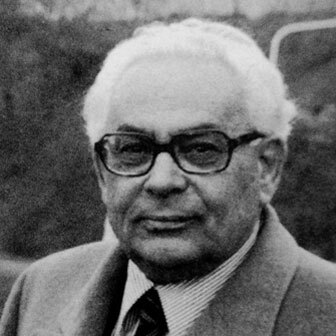 Luciano Erba was born in Milan on 18 September 1922. One of his earliest influences was the poetry of Vittorio Sereni, who was his teacher for the first year of high school. 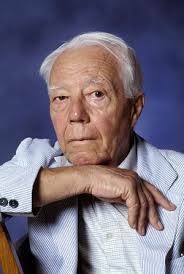 Though he has lived most of his life in Milan, there have been extended periods spent abroad: in Switzerland during the latter part of World War Two, where he was interned, in post-war Paris, where he taught and first met the poet Philippe Jaccottet, and in the USA. He studied French, graduating from the Catholic University of Milan in 1947. 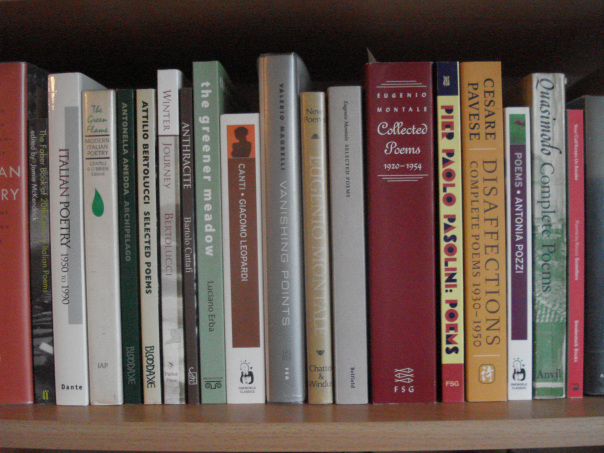 He has published numerous collections of his poetry since his debut, Linea K, (1951). bending down like it does on this evening, this air? 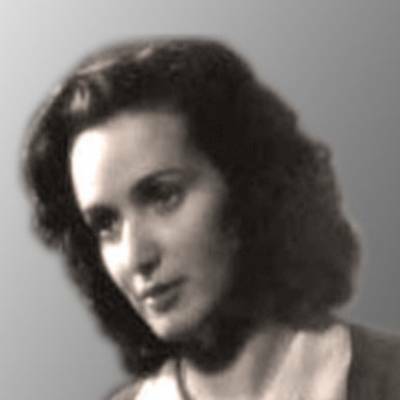 Fernanda Romagnoli was born in Rome in 1916, where she studied the piano. She published her first collection, Capriccio, in 1943, which was followed by her second, Berretto rosso, in 1965, by which time she had been involved in editing various literary reviews. For much of here life she was in poor health, having contracted hepatitis during the war years. Nevertheless, she pursued her literary career until her death in 1986 at the age of seventy. Erri De Luca was born in Naples in 1950. 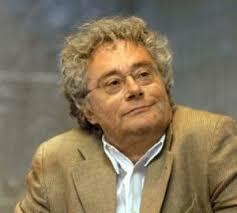 Upon completing high school in 1968 he became an adherent of the radical movement, La Lotta Continua. After its disbandment, he ceased his political involvement. He has worked as a blue collar worker at the Fiat factory in Turin and at Catania airport. He has also been a truck driver and a mason. Self-taught in several languages including Ancient Hebrew, Swahili, Russian and Yiddish, he has translated books of the Old Testament and written commentaries on the Sacred Texts. He has published more than 60 books, numerous collections of short stories and poems, many of which have been translated in more than 30 languages. if she strove more to flee, or more to follow. even pursues you, careless of the wounding. here he fell down, and lay, no longer speaking. She, cruel, briefly turned on him her eyes. Love with new searing flames set him alight. a humour, which is fire, as none denies. Giambattista Marino, 1569-1625, was born and died at Naples, but lived for many years in Rome, Turin and Paris, where he was ‘le Chevalier Marin’. 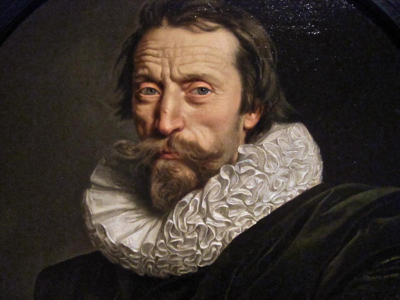 His baroque style was greatly admired and much imitated. His epic work Adone is the longest Italian poem. Who’s roused you, Nature, to a jealous fury? the sun looks dark, against her lovely eyes. we see sealed lips, imagine open ears. your glory only grows, through endless years. thank Leonardo for his skilful hand. 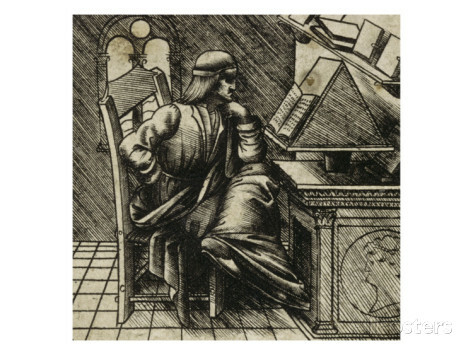 Bernardo Bellincioni (1452–1492) began his career in the court of Lorenzo the Magnificent in Florence. In 1483 he moved to Mantua and in 1485 to Milan, where he was the court poet of Leonardo’s patron Lodovico Sforza, when Sforza’s son married Isabella, daughter of the King of Naples. Roy Marshall lives in Leicestershire where he works in adult education and writes poems, poetry reviews and the occasional story. His collection, The Sun Bathers (Shoestring, 2013), was short-listed for the Michael Murphy award. Peter Robinson is the author of many books of poetry, translations, and literary criticism. He has also published a collection of short stories and his novel, September in the Rain, has just been published by Holland House Books. Awarded a Poetry Book Society Recommendation for The Great Friend and Other Translated Poems (Worple, 2002), he was winner of the John Florio Prize for The Greener Meadow: Selected Poems of Luciano Erba (Princeton, 2007). Timothy Adès is a rhyming translator-poet who works from various languages. From French he has published award-winning selections of the poetry of Victor Hugo, Jean Cassou and Robert Desnos. 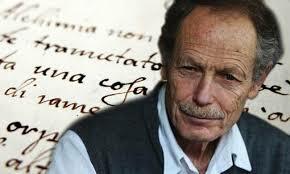 From Spanish, he has translated Alberto Arvelo and received an award for his translations of Alfonso Reyes. A substantial collection of the poetry of Robert Desnos will be forthcoming.